Solid color t-shirts are easy to find and everyone has at least one, but sometimes you need something a little different. 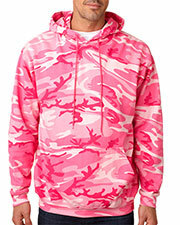 Code V offers a wide variety of Camo clothing that ranges from nature inspired colors and designs to colors that are a little more unique. Camo shirts and hats are a long standing American tradition, like apple pie, baseball, and 4th of July. Code V provides a wide range of camo clothing for men, women, children, and infants, so that you can outfit your entire family in your favorite camo print for the ultimate hide and seek experience. In addition to providing high quality patriotic t-shirts, Code V donates 2% of sales to The Children of Fallen Soldiers Relief Fund, Inc. and Fisher House. Whether you are need new pieces for your actual hunting gear or you’re just looking for a twist on the ordinary, Code V clothing can help you out. Code V offers Realtree camo designs, military style camo, and digital camo in colors inspired by nature, as well as, other less traditional colors. With so many choices between nature inspired Realtree camo and the random patterns associated with military camouflage, it’s a good thing Code V t-shirts are so affordable, allowing you to easily take home all of your favorites. Make sure to check out our other accessories, such as headwear, outer wear, and duffel bags. Bought for a newborn, so not sure on the fit. I was pleased to locate your site and I placed an ordered in Pink Woodland for my younger son but I receive my order not in time its one day late, overall I get satisfaction from here.